The quest for a youthful appearance never ends and I for one are open to try anything. As mentioned before, I feel safer with milder products, especially for your face, as your skin is so thin and sensitive and under your eyes even more so, so you do not want to bombard it with heavy-duty products. I was a lucky girl, I recently got to try the Party Animal Rescue Kit to try from the Natural Spa Factory, one of the items was the Eye Contour Serum and the other was a set of Biocellular iEye Patches. I am sure we have all probably had an amazing evening out only to look in the mirror the day after to see bags under our eyes more prominent than we would like to admit, so this Party Animal Rescue Kit was very welcomed! The Natural Spa Company use only botanically sourced ingredients that have not been tested on animals. They started in 2009 by husband and wife Emma Webber and Jeremy Smith, who are based in Bath. 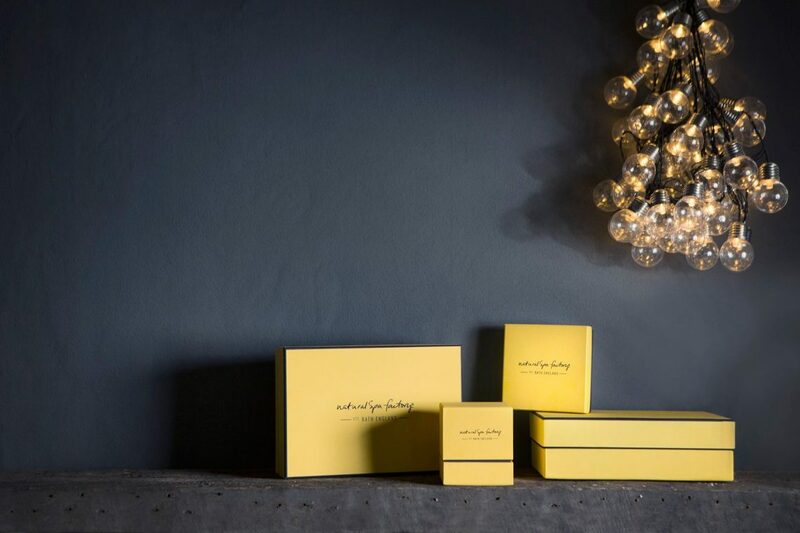 Jeremy had run a Spa consultancy business prior, which helped when creating these products that are inspired by spa treatments with a luxurious feel to it. The Natural Spa Company now supplies over 500 Spa’s, boutique hotels and retailers. 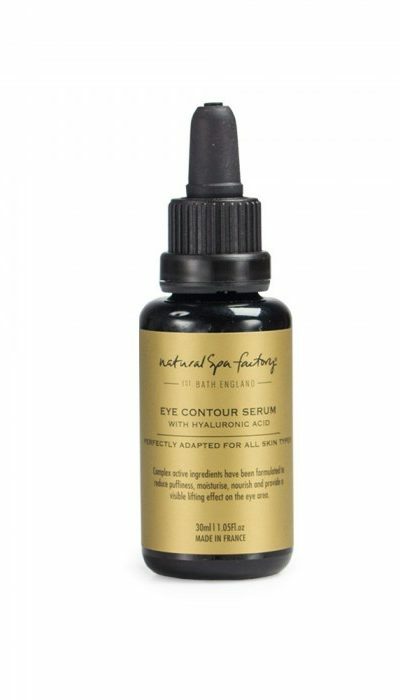 So my journey started with the Eye Contour Serum, I have dark circles and a bunch of lines under my eyes on a normal day that I was intrigued to see if this serum could aid. I loved the bottle; it definitely looks good on show on my bathroom shelf. 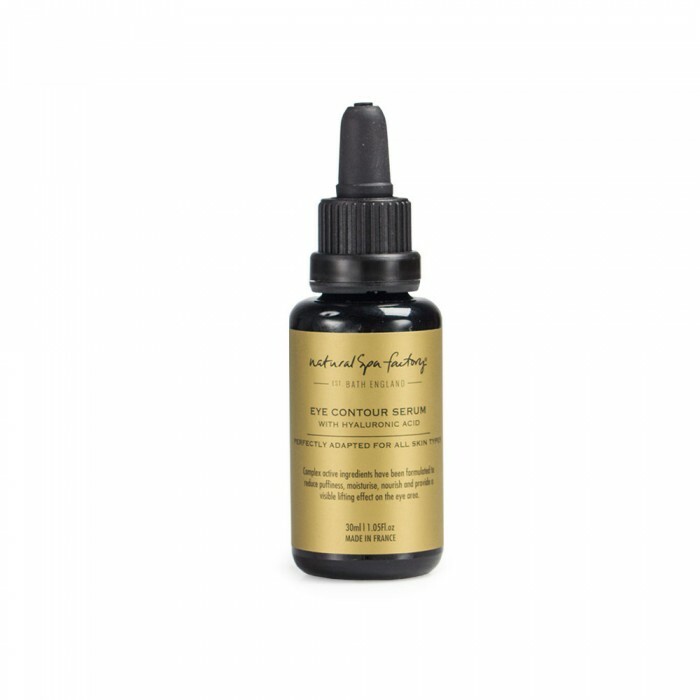 Its a golden coloured serum which makes sense as it actually contains real 23c Gold particles which helps to prevent the breakdown of collagen and elastin which are the main parts of keeping our skin firm and keeping the wrinkles at bay. Gold in itself actually helps reduce inflammation, which can cause acne and hyper pigmentation. Also it does help to brighten your skin slightly through massage into the skin so bye bye dark circles! They have also added Hyaluronic Acid to aid cell regeneration and repair tissue, which with age gets harder for your skin do on its own. So the first time I applied this I was actually going “wow” out loud because you can actually see and feel a difference pretty much straight away! I was not prepared for that at all, the skin is firmer and looks tighter. So this product is now part of my morning and night routine. When you have a moment of spare time where maybe you just want to give your eyes a special treat the Biocellular Ieye Patches is the perfect for you. They are perfectly shaped to sit under your eyes and they are filled with moisture in a fine fibre structure that almost looks like a thin mesh. They sit beautifully so you can just continue to do your thing, which in my case was organising my overflowing closet, and the eye patches stayed put. These patches contain some amazing ingredients that work hard at reducing puffiness and dark circles and all of these ingredients work with the sensitive and delicate skin around the eyes. They are rich in polysaccharides which is derived from yeast, Hamamelis extract which is rich in tannins that is soothing and relieving, Fucogel which is moisturising and helps regain the firmness of the skin around your eyes and lastly to really rehydrate the skin these patches contain Glycerin. I felt like a new woman and I do not think anyone could tell whether or not I had been out on the tiles or not as these really picked me up. A perfect pamper pack for the day after the night before. For more information and products from the Natural Spa Factory see online.